Are you a Smash Bros. fan? Want to have fun on the weekend and meet new people? Given that you are a college student, you will most likely answer “yes” to the second question at a minimum. If you are a fellow smasher however, you should know that fairly regular Smash. Bros tournaments are held in Madison during the school year that are a ton of fun! Each installment in this array of tournaments is referred to as “MadTown Smackdown”. 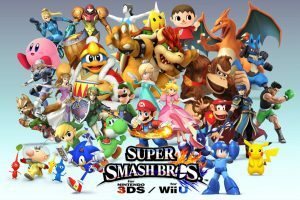 The most popular competitive Smash Bros. games are included, and the tournaments are held in a variety of venues including arcades and occasionally rented out rooms on campus as well. These tournaments attract players from around the city, and many from UW Madison as well! To keep up with the latest news about the tournaments, be sure to join the official Wisconsin Smash Bros. Facebook group. This group connects players from all over Wisconsin. Subgroups for each individual game’s player base in Wisconsin also exist to better allow players to keep up with the tournament information for their preferred game. If you want to take a break from schoolwork on the weekends and relax by brawling with your favorite Nintendo characters, I highly recommend you come to at least one tournament and see just how easy it is to get immersed with Madison’s amazing Smash Bros. community. As an avid player myself, these tournaments were where I met my tight knit group of Smash Bros. friends that I continue to battle against and have fun with despite having just graduated from school.